AirAsia tends to have “sales” every few week or so, but these bigger sales come only couple of times a year. The current Big Sale is valid for travel between January 5 – July 31, 2015 and needs to be booked and ticketed by Sunday June 8. The advertised prices include all the airport taxes, but don’t include checked in baggage or credit card payment fee. The offers are mainly from Thailand, Malaysia, Singapore, Philippines and Indonesia on various AirAsia affiliates including AirAsiaX. 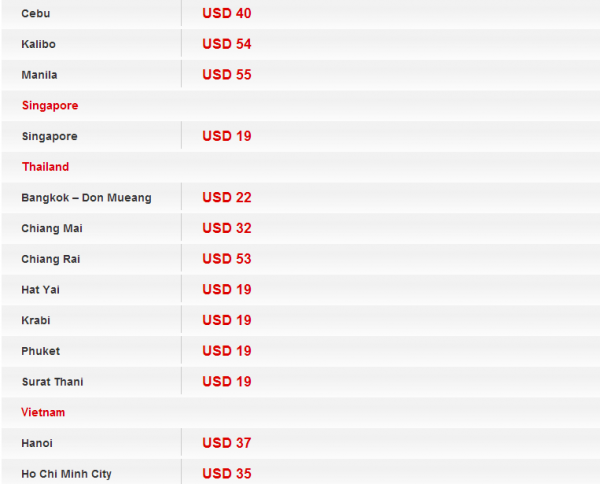 You can access AirAsia’s website for the offers here. If you can commit this far in advance and don’t mind taking one of the “ultra” LCC’s, there is nothing wrong really buying and flying on AirAsia. I tent to take their flights few times a year when there are no other reasonable options. It is not, however, my first choice.